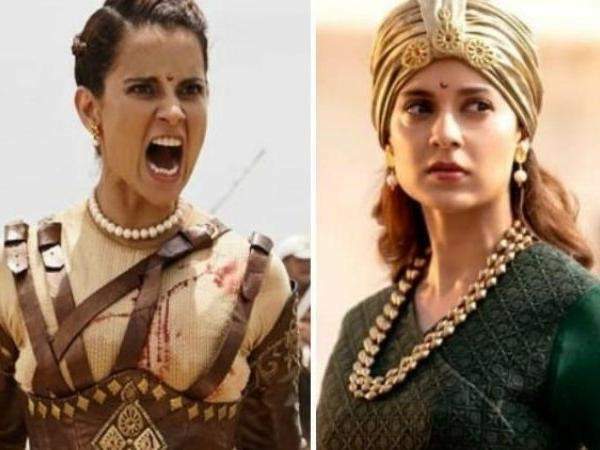 Kangana Ranaut directorial and starrer Manikarnika: The Queen of Jhansi is faring steadily at the box office. In the first 10 days or by the end of 2nd weekend, its collection has reached to a total of Rs 76.65 crores. It isn’t going to slow down soon. On the second Saturday and Sunday, it witnessed a jump and collected Rs 5.25 cr and Rs 6.75 cr respectively. Made on a whopping budget of Rs 125 crores, Manikarnica was released in three languages – Hindi, Tamil, and Telugu. Only its Hindi version has been able to collect moolah. The other two versions haven’t picked up well by the audiences. The coming 2nd weekdays will hint where the movie is heading towards. In the first week, Manikarnika earned Rs 61.15 crores followed by Rs 15.50 cr on the second weekend. It had crossed the mark of 50 cr in just five days and 75 cr in 10 days. With its release, the movie garnered mixed reviews from the film critics. But, the historical drama gained positive word of mouth from the Hindi audience. The cast and crew of the film are happy with its success. However, since its announcement, it has been through numerous controversies from script credit, sonu sood leaving the film, threats by the Karni Sena, etc. It gained a boost on this past weekend due to holidays, but today (2nd Monday) is a regular working day. So, it will again face a drop of around 40-50%. Speaking of 11th day collection of Manikarnika, the occupancy it registered is way less than what was on second weekend. But, it would be similar to the 2nd Friday’s figure. It collected Rs. 2.50 crores making its 11 days total collection to Rs. 79.81 crores. The film is competing against the likes of Uri: The Surgical Strike starring Vicky Kaushal, Thackeray starring Nawazuddin Siddiqui, and new release Ek Ladki Ko Dekha Toh Aisa Laga starring Sonam Kapoor, Anil, Rajkummar Rao in lead roles. Now, Kangana’s Manikarnika will struggle to keep up the pace in smaller cities are there is always a limit to how much can get a boost in its earnings. As per the expectations, the bigger cities can pick up far more in comparison. It looks that Manikarnika’s lifetime collection (domestic) will end within 100 crores. It will be decent and better than what Veere Di Wedding, Satyamev Jayate, and Padman could do with their collections. As far as overseas collection is concerned, Manikarnika has already minted $2.5 million which converts to Rs 17 cr approx.